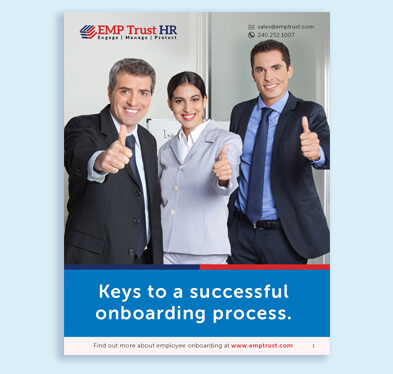 Download the FREE Onboarding & Offboarding checklist today! Recruiting, hiring, developing and retaining the best employees just got easier. We invite you to see a demonstration of the EMP Trust HR Talent Management System. One of our team members will show you how easy it can be to manage employees from hire to retire. Copyrights © 2009-2017 All Rights Reserved by EMP Trust Solution .